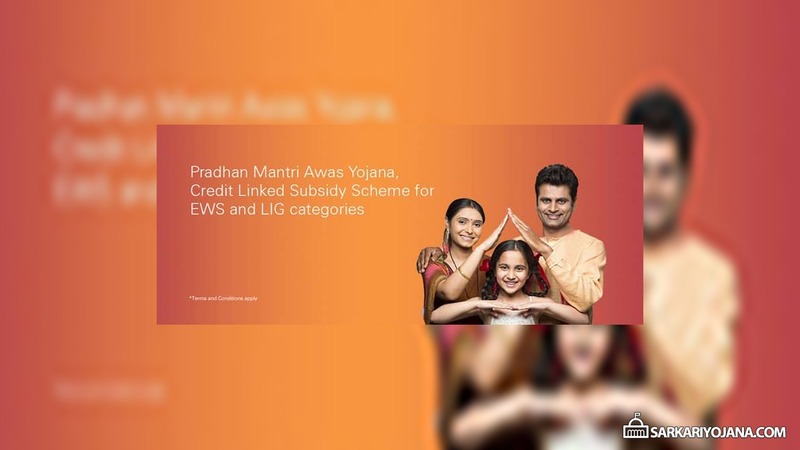 ICICI bank has launched home loan scheme under the credit linked subsidy component of Pradhan Mantri Awas Yojana. The bank will provide home loans of up to Rs. 6 Lakh to the people belonging to EWS and LIG categories at a special interest rate. The bank will provide a subsidy for eligible borrowers at 6.5% per annum on a maximum amount of Rs. 6 Lakh for a tenure of up to 15 Years. ICICI Bank has signed an MoU with the National Housing Bank (NHB) to provide loans under PM Awas Yojana. The home loan amount sanctioned to the eligible EWS/LIG applicants will depend upon their repayment capability. The loan however can be spread out for up to 30 years. The home loan scheme will significantly help bringing down the EMI amount. The applicants can however apply for larger amount but the loan amount beyond Rs. 6 Lakh will be provided at non-subsidized rate of interest. The Credit Linked Subsidy is available for housing loans availed for new construction and addition of rooms, kitchen, toilet, etc. to existing dwellings as incremental housing. The carpet area of houses being constructed under this component should be up to 30 sq. m. for EWS category and up to 60 sq. m. for LIG category. However, the beneficiary can construct a bigger house. The home loans under PM Awas Yojana are available at 2513 branches of ICICI bank across the country. The complete list of the bank branches where the loan is available here. The bank will claim subsidy benefit for eligible borrowers from National Housing Bank (NHB). The NHB will conduct a due diligence to exclude claims where customer has submitted multiple request. For all eligible borrowers, the subsidy amount would be paid to the Bank. Once the bank receives the interest subsidy, it will be credited upfront to the Loan Account. The subsidy will be calculated on NPV basis at the rate of 9% discount rate. For example, the borrower avails a loan for Rs. 8 Lakh and the subsidy works out to Rs. 2,20,000. The amount (Rs. 2,20,000) would be reduced upfront from the loan (i.e., the loan would reduce to Rs. 5,80,000) and the borrower would pay EMIs on the reduced amount of Rs. 5,80,000. * The above example is for illustration purpose only and will depend on the actual amount received or any changes done by NHB on the same. Declaration of not owning a pucca house. Customers not having income proof would require to submit an Affidavit. Download the complete list of ICICI ban branches. Pradhan Mantri Awas Yojana Gramin (PMAY-G) Phase 2 Approved by Central Govt. I want to transfer my lig home loan from MHFC To ICICI Bank due to rate of interest please tell me what is procedure. I need loan but I am not account holder of ICICI bank. Would I get loan? I am not a account holder of the ICICI Bank.Should I open my account first to eligible the scheme.What Should I do.Plz Reply!!! I have not any account in ICICI bank.So should I open my account first to have the pradhan mantri awas yojna scheme. I want pmay loan.how to apply and who the office. என் பெயர் செந்தில். தமிழ்நாடு விழுப்புரம் மாவட்டம் உளுந்தூர்பேட்டை வட்டம் நான் Icici bank pmay. விண்ணப்பம் வாங்கினேன் Manager, panchayat development officer. Thirunavalur ஐஅனுக சொன்னார். அவர்கள்.கிராமத்திற்கு இல்லை என்றும் நகரத்திற்கு மட்டும்தான் என்று கூறுகிறார்கள்.விளக்கம் தேவை. yahan sab k liye kuch na kuch mil hi jayega chahe woh koi bhi categories ho…kuch hai nai to sirf gen.categories k liye…or khaas karke baniyo k liye…baniyo k logo ki sabse badi galti yeh hai k unhone baniyo k ghar janam liya…baniya chahe kahin bhi kisi bhi desh mein kisi bhi shehar mein ya kisi bhi gaon mein use gen.dekh k chhod diya jata hai.. I need PMAY HOME LOAN PLEASE GIVE ME COUSTEMER CARE NO.